Why wouldn’t Millennials like Aman Hotels? It’s among the most luxurious operators in the world. But here’s a better question: When they’re paying with their own money, will they still be as happy with the brand? Conventional wisdom may suggest Aman Hotels — an ultra-luxury global chain where rooms often cost more than $1,000 per night — sells mostly to older travelers. 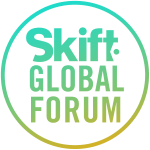 But customers between 18 and 35 years old increasingly fill many of its rooms, the company’s chief operating officer said Wednesday at the Skift Global Forum in New York City. Many of them, of course, stay at the hotels on a multi-generational trip, likely with parents or grandparents paying the bill. But Aman’s Roland Fasel said a significant number of Millennials seek out the brand’s roughly 30 hotels, in part because they offer access to out-of-the-way places, such as coastal Montenegro, Bhutan, and Angkor Wat. Millennials crave experiential and adventure travel, he said, and Aman’s hotels provide it more than giant global brands like Hilton or Marriott, he argued. Last year, Fasel said, about 20 percent of Aman’s customers were between 18 and 35. This year, he expects it might be closer to 30 percent. “There’s no operator in the world that can deliver the access we have,” Fasel said. But while many brands are implementing strategies to cater to younger travelers, Fasel said Aman has no plans to change what it does. He said Aman’s young customers have the same sense of wanderlust as Baby Boomers, and they want similar things when they travel. “You have to have a curiosity to want to go to Bali,” he said. Fasel, a former executive at Dorchester Collection, joined Aman in February, as it continues to enter more markets. He said he expects Aman will have 45 to 48 hotels by 2025, and wants to add more properties in remote areas in South America, where there are few, if any, luxury hotels. As it expands, Aman will continue to promote experiences it can offer travelers, he said. For years, Aman guests have been able to visit rural villages, trek through local Unesco World Heritage Sites, or enjoy a private tour of local palaces. Aman has also long had wellness platforms, such as a longevity, rejuvenation and detoxification program at its resort in rural Vietnam. Other hotels brands now are launching similar adventure, touring and wellness programs, but Fasel noted Aman has had them for years — well ahead of current trends. “If we had been able to claim what you think is a trend now 10 or 20 years ago, there would be no question about which brand is doing this,” he said. Fasel will also help Aman add more city hotels. It opened a hotel in Tokyo recently, and will add one in Shanghai later this year. The Aman brand has become known for intimate service at resort hotels, but the same strategy can work elsewhere, he said. “Ultimately, with the aura and ethos of welcoming people into your home, it doesn’t make a difference whether you are in a city or at a resort,” he said.